Are you still stuck with Magento 1? It’s time to move ahead towards Magento 2. It is the most powerful and virtually unique platform that is proving out to be the best platform for E-Commerce sites. Because of its timely promise completion and new features improvements time to time it is widely accepted platform. So many E-commerce businesses are shifting from Magento 1 to Magento 2. Magento 2 is a PHP-based open source CMS platform. It is a blessing for website owners and empowers them to manage their sites without any help from developers. Due to its latest functionalities and features, it is an online powerhouse. There are so many reasons to discuss that why Magento 2 is in limelight but here we will throw a light on the best one to help you get in the world of Magento 2. On Magento 2 so many studies have taken place and those studies have shown that Magento 2 can handle up to 39% more orders per hour with 66% faster add-to-cart times than Magento 1. So many E-commerce businesses are migrating to Magento 2 for better performance and desired results in time. Magento 2 comes with a good package of features and its faster speed function it encourages enhanced sales and website search engine optimization. So it’s a perfect time for Magento 1 lovers to switch to another level of Magento 2 with more advanced functions and technicalities for improving your performance. Here are the major benefits of Magento 2 that will enlighten you to have a shift to a new platform for a better experience. 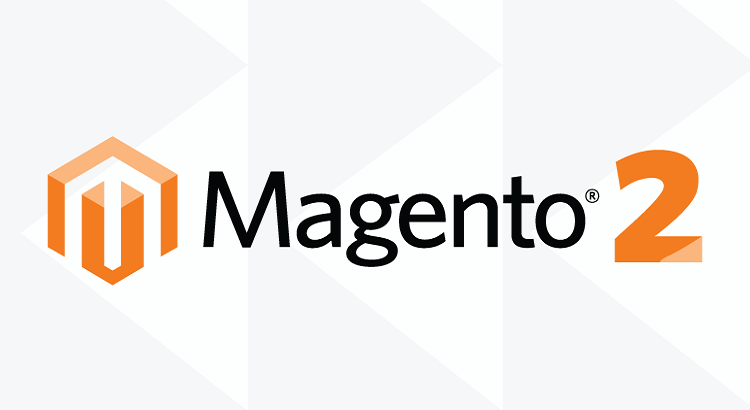 Since Magento 2 is a totally different platform, existing website running on Magento 1 will need to be rebuilt in order to switch over. Some online store owners aren’t ready for this yet. This is the foremost and an eminent benefit of Magento 2. After switching from Magento 1 to 2 you will notice a great change in the performance of your site. With this, you will have reduced server load, good site performance, scalability and another thing you will notice is its delivery response as compared to the previous version of Magento 2. Website performance matters a lot to increase the traffic and conversion rate so this is one in all packages. You will experience a new world of E-commerce store working. This platform is designed by keeping the performance in mind so as to give an improved way of performance to both the buyer and the seller (operator). This makes it scalable for large stores and able to grow with an online business. E-commerce is a platform which will grow in the coming future so things related with E-commerce need a necessary update so Magento 2 is the one. It even includes the feature that allows you to more easily spread the demand on your hosting infrastructure over multiple servers and thus more easily handle large traffic spikes. After the performance here comes the flexibility. The platform which will be able to tailor the changes and is ready to accept the new alterations is always in demand. Magento 2 comes with the features which have the feature of changing the things on your E-Commerce website. It comes with a structure of modules that enhance flexibility and performance of e-commerce website. This even allows you to keep codebase clean and high-performing and even ensure more flexibility in working than old versions. With an advent of time and technology, the features of the software’s and e-commerce platforms get change. With new updates and better functions. In light of the information, we can offer them exceedingly customized encounters amid web-based shopping. Magento 2 is furnished with such innovations and lets store proprietors offer customized items, administrations, and showcasing motivators of numerous types. Along with this, it helps in transformation and experience improvement for the loyal client base. With personalization, the shopping basket can finalize more negotiations, urge customers to purchase more, and increment repeat business which implies a high ROI. Talking about the speed and security with Magento 2 it has drastically increased. Magento 2 is more secure than past forms since it has changed the structure of catalogs in the source. Presently, it has expelled skin organizer from the root registry, so it has just 5 envelopes in root index against 9 in the past form. Also, it has made another registry as “Bar” and moved envelopes like JS, SKIN, ERROR, etc., from root index into it. Therefore, it has influenced extreme to take to or hack codes specifically from the root catalog for mischievous components on the web. The designing becomes so perfect that it has the tendency to allure the customers. New features let the viewers experience a new way of designing. Your website design plays a vital role in grabbing the viewer’s attention and makes your site an engaging site. We are living in an era of mobile phones. It is believed that more than the half of the purchasers make their purchase through their smartphones. With Magento 2 mobile responsive designs it allows the users with the greater level of experience while ordering from your website. So we can say that it provides seamless user experiences across the screens. Being a secure platform for payments Magento 2 checkout process is streamlined. It makes really easy for the customer from placing their order to go to the cart and complete the order. This helps the customers to save their time with easy checkout. This even increases the conversion rates. At the point when a client goes to checkout, they are conveyed to a default visitor checkout screen where they enter an email address. On the off chance that this matches a current client, they are given an alternative to checking out quicker with spared data. Visitors can make a record in a single tick from the request Thank You page. These highlights support the repeated clients. Another vital aspect and the feature which allows its greater usage is, it is a nationwide platform used for different E-Commerce sites. It supports all the languages and different currencies of different regions. In this technophilic era where mobiles have taken the place of desktops and pc. It is the era of mobiles where most of the purchasing is taking place through mobile phones. So the sites should be mobile responsive despite their screen sizes. Magento 2 websites are perfectly made to giver best user experience.